After a few weeks of solid offerings, the 3DS seems to be taking a breather in this week’s Nintendo Download. Though it still has more offerings than the Wii U, we did get some offerings for Nintendo’s console this week. The most notable being that we get two new demos this week, one for ZombiU and one for NBA 2K13. We also get a new Virtual Console title in the form of WORLD HEROES 2 for the Neo Geo (900 points). Meanwhile, the 3DS gets several additions to its eShop, including a digital version of the retail title Hello Kitty Picnic with Sanrio Friends ($29.99), Wild Adventures: Ultimate Deer Hunt ($3.99), 101 DinoPets 3D ($4.99), and Biorhythm for DSiWare ($1.99/200 points). 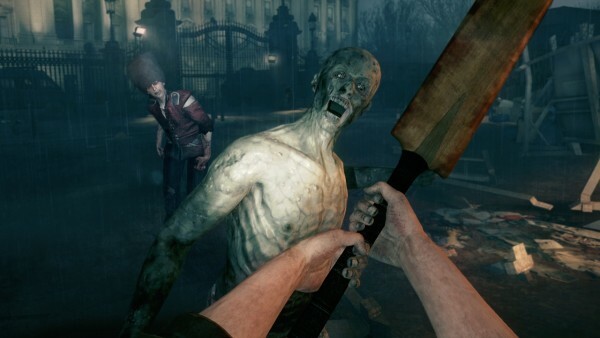 ZombiU™ Demo – A great plague has enveloped the city in a fog of death. The Infected prowl through the streets, waiting to prey on your living flesh at every turn. ZombiU is built from the ground up to take full advantage of Wii U, and will test your will to survive in a fear-fueled zombie nightmare. The Wii U GamePad controller becomes your all-in-one survival kit for tools, inventory, med kit and maps. Feel the tension mount as you try to keep your eyes on the TV and Wii U GamePad controller at the same time. ZombiU is available for purchase in the Nintendo eShop on Wii U and at retail stores. NBA® 2K13 Demo – NBA 2K13 has joined forces with the legendary Jay-Z as executive producer to transcend sports video games and take virtual hardwood to the next level. Featuring game-play features unique to the Wii U console, NBA 2K13 will allow players to use the Wii U GamePad controller to get up-to-the-second details on their players’ moods, fatigue levels and performance, while also calling plays and making coaching decisions and substitutions. NBA 2K13 is available for purchase in the Nintendo eShop on Wii U and at retail stores. To view this week’s Nintendo Download in its full graphical version, please visit: http://news2know.net/nintendo/downloadcfD3rGaW.php.